Disruption is fundamentally changing the way the world works. It might be tempting to say that this has always been the case and is nothing new. Indeed, waves of disruptions have always been powerful engines for change. However, this time the dynamic is unprecedented due to the deep integration of politics, technologies, businesses and cultures. This interrelationship on multiple levels leads to an amplification of disruptive forces, calls the status quo into question and substantially alters the way we live. Political and business leaders may no longer derive answers from ceteris paribus (other things equal) scenarios. Essentially, having a superior ability to manage disruptions is a vital differentiator that enables corporations to survive over the long run while maintaining a competitive advantage. In the recent past, many high-profile cases have highlighted the cognitive, informational and organizational shortcomings of boards and management teams who ultimately proved to be ill-equipped to navigate through stormy conditions, while their competitors emerged from similarly difficult situations even stronger. Given the predominant two-tier board model in Germany, there is little doubt that the relationship between the supervisory board and the management team becomes a focal issue in disruptive situations. Established operating norms may no longer provide an effective basis for collaboration under stressful conditions that call for skills that go beyond “business as usual”. 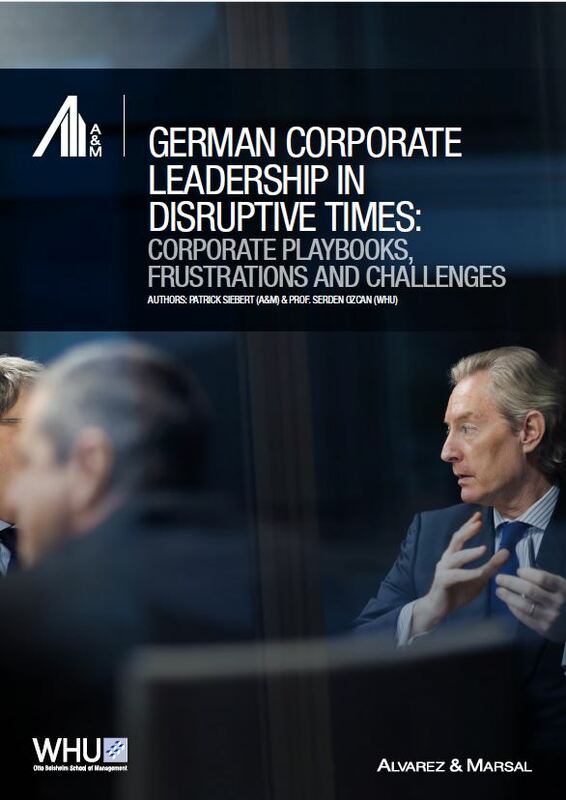 I am therefore delighted that Alvarez & Marsal (A&M), in conjunction with WHU-Otto Beisheim School of Management (WHU), have developed a practical guide for leadership teams, as well as a set of core disciplines designed to help these teams navigate successfully through major disruptions. This report extends the scope of previous research on U.K. businesses conducted within A&M’s Board Leadership Series. Finally, I would like to express my gratitude to the participating representatives for their generosity and candor. I am also grateful for the research and analytical competence of my co-author Professor Dr. Serden Ozcan (WHU), as well as the sterling advice and support from my colleagues Malcolm McKenzie and Florian Domin. I hope that this unprecedented compendium of German senior business leaders’ views and experiences provides valuable insights to our esteemed readers.